This set of 27 Jesse Tree Ornaments will help you see and touch the Advent journey through salvation history. These ornaments are designed and 100% made in Steubenville, Ohio by Catholic families, for Catholic families. 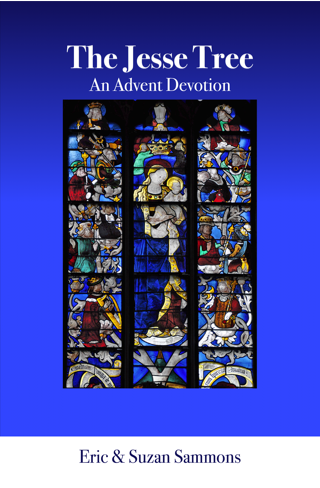 The subjects represented for the daily Advent devotions are based on meditations from The Jesse Tree: An Advent Devotion by Eric and Suzan Sammons. The number of days of Advent, and therefore the number of these ornaments and devotions, varies quite a bit: as long as 27 days, as short as 22 days. How do you account for this with your ornaments and devotions? Check out this handy chart for one method, doubling up or omitting certain days accordingly. Beautifully made and durable! Just what I was looking for. Absolutely beautiful! Worth every penny. Grateful I made the investment to purchase these this year. We will be enjoying them for years to come. These ornaments are beautiful and so well made!! We love them!!! If you ever wanted to try a Jesse Tree...you must get these ornaments!!!! The most beautiful ornaments I’ve ever seen! Amazing quality, beautifully done and match perfectly with the book!! Very highly recommend!! A Do-It-At-Home Retreat: The Spiritual Exercises of St. Ignatius of Loyola Book - Andre Ravier, S.J.